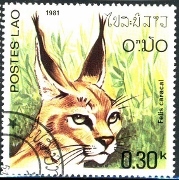 A selection of postage stamps from the Southeast Asian country of Laos. 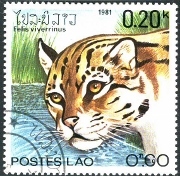 These feline themed postage stamps were issued in the year 1981 and depict various wild cats that include the Asiatic Wildcat, Caracal, Clouded Leopard, Flat Headed Cat and Fishing Cat. 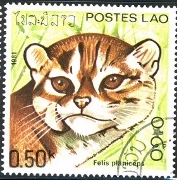 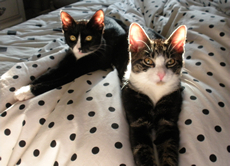 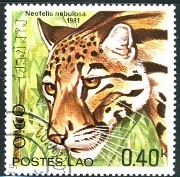 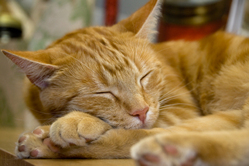 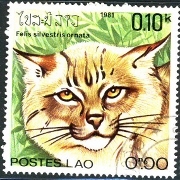 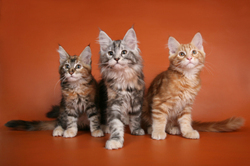 If any of our Web Site visitors have images of additional wild cat themed postage stamps that they would like to share with others on FelinePictures.com please be sure to contact us.